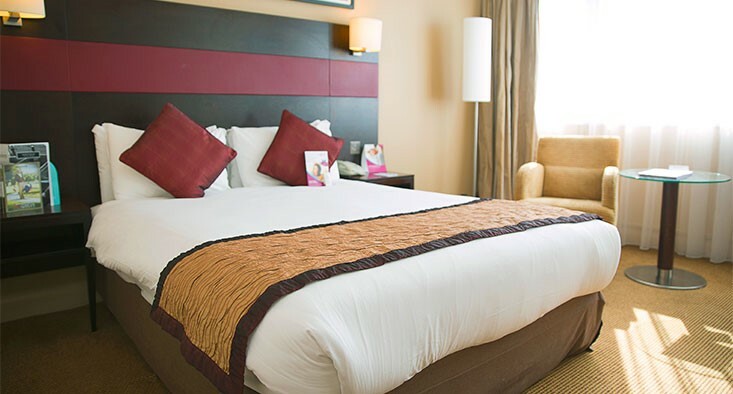 The Crowne Plaza at Manchester Airport is the perfect way to explore everything that Manchester has to offer from a modern and comfortable accommodation. Thanks to a complimentary shuttle service operating regularly between the airport terminal and hotel, as well as the Manchester Airport Rail station for transportation to the city centre.In addition to the ideal location close to Manchester Airport the Crowne Plaza also offers an excellent selection of packages designed with international travellers in mind. The central airport location allows guests the convenience of the complimentary shuttle bus direct to the hotels doors. Crowne Plaza resides on Ringway Road amongst the Manchester Airport complex itself, seeing an approximately 15-minute walk to the airport terminals providing swift access for flight departures.